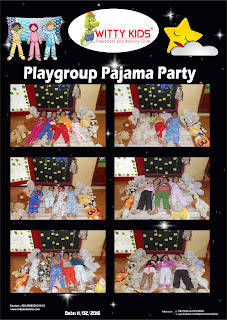 It was time for the 'Pajama Party' in school. 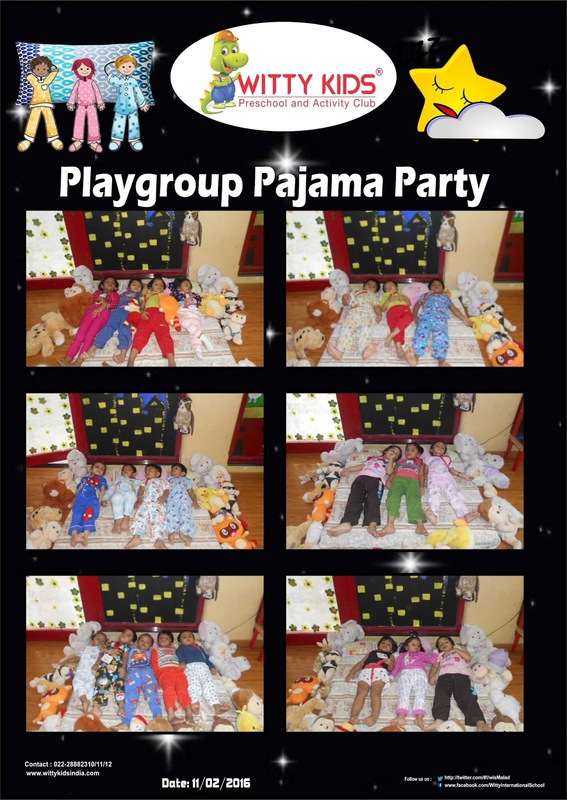 On Thursday, 11 February 2016, the day was very unusual for Playgroup children as they all came to school in their night suits. The class was converted to a bedroom, and a night scene was created. Teacher read out bed time stories to the little Wittians.